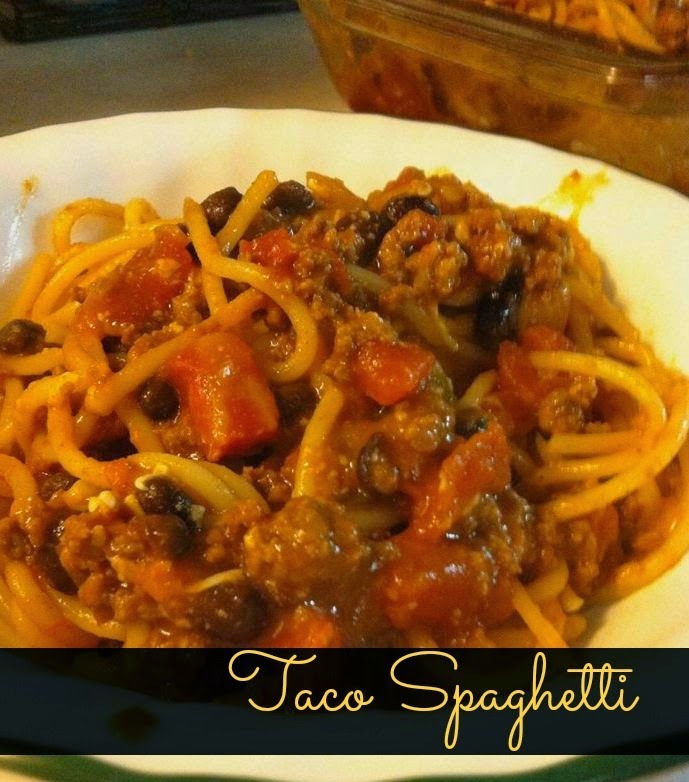 Are you ready to try a new spaghetti dish that will knock your sock offs? My hubs doesn't care for marinara, so spaghetti is not one of his favorite things to eat. Whereas I grew up eating spaghetti about once a week. I found this while looking through Simple & Delicious and knew right away that it looked like a winning recipe to me! And guess what? I was totally right. The flavor in this is really great (I mean, who doesn't love taco seasoning?) and even my daughter ate some. Which is rare, because she is super picky and likes only bland things. I can't wait for her taste buds to grow up! This is one of those recipes you will make more than once. It makes a big batch, so you'll have some leftovers. Or, if you are serving only a few people, freeze up half of it for later. Meanwhile, brown the beef, drain, and add the taco seasoning according to package directions. Stir the beans, tomatoes,half of the cheese and the salsa into the seasoned beef. 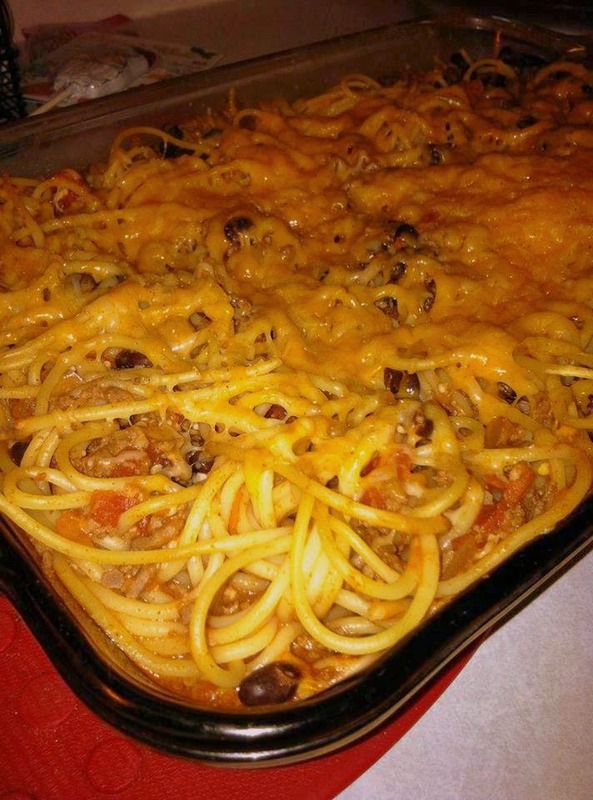 Drain the spaghetti noodles and toss with the beef mixture. Spread out into a lightly greased 9x13 baking dish. Uncover and spread the remaining cheese over the top. Continue to bake for another 5 minutes, until cheese is melted. Serve after letting stand a few minutes.